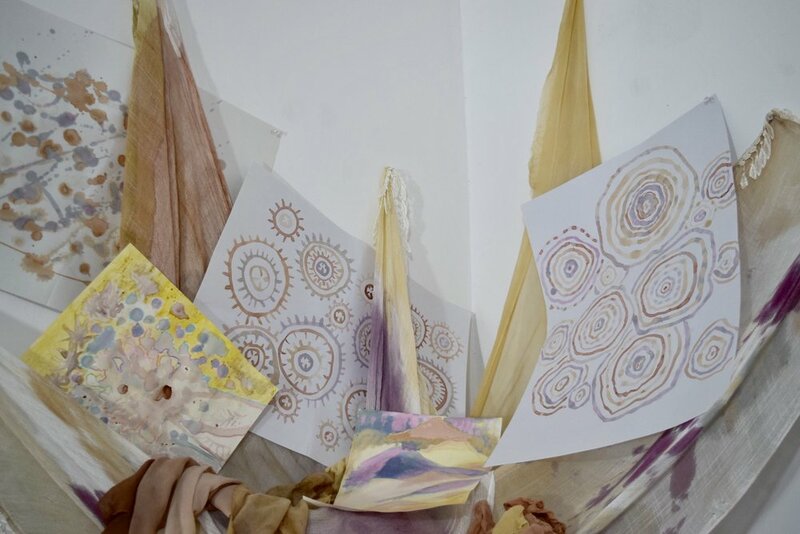 During my artist residency at Brashnar Creative Project, I have been trying to extract colors from plants onto cotton and silk fabric by heating them. Natural dyes are fixed through the use of mordants. Mordants are metal salts and tannins. This time, I am using baking soda as my mordant and searching for different plants from the neighborhood for natural dye. I also experimented with the natural dye pigments on paper- Adding different ingredient such as lemon to change the Acidity in the pigment and thus allow it to react and turn into another color. -allow different natural dyes to interact with each other and change colors when interacting. 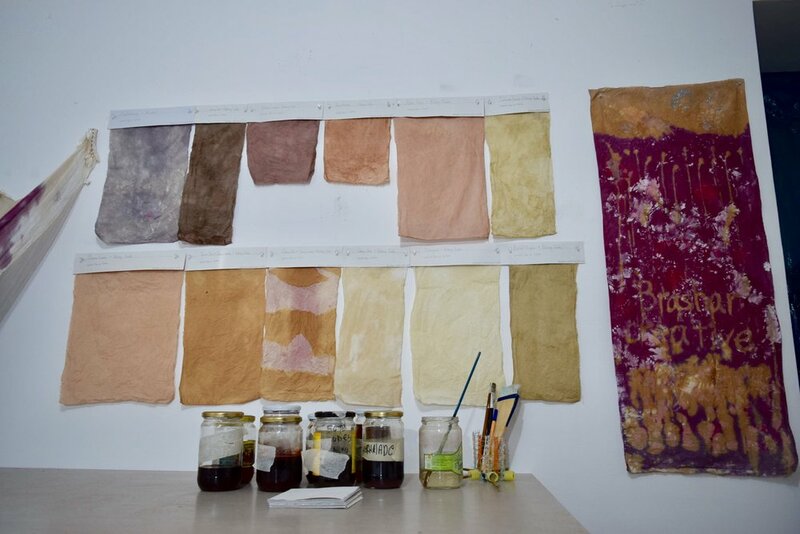 Participatory Art (Open Studio)- Local people and artists trying to experiment with natural dye colors. Copyright © 2018 Bifoli 2 LLC. - All Rights Reserved.